Truly minimalist design with the industry’s smallest 250 watt surface transformer. Compatible with both LED and Halogen lamped 12v low-voltage pendants and heads. Now protected by a 5-year warranty. Constructed of die-cast aluminum. Mounts to a standard 4" ceiling junction box with round plaster ring (provided by electrician). 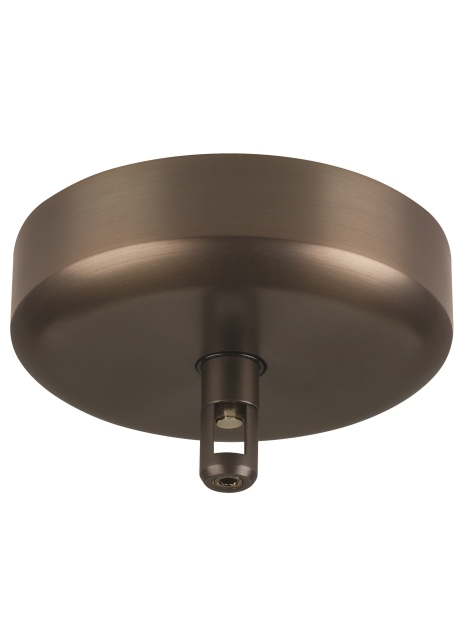 Can be used with 2" or greater Standoffs and a Power Extender - Search for accessories on techlighting.com or consult the Tech Lighting Systems Ordering Guide for details.